Representative Avery Bourne (R-Raymond) joined leaders in the community today as they announced that the City of Litchfield has been awarded a grant from the Illinois Dept. of Transportation. The grant totals over $1.8 million dollars and will be used for transportation improvements citywide. 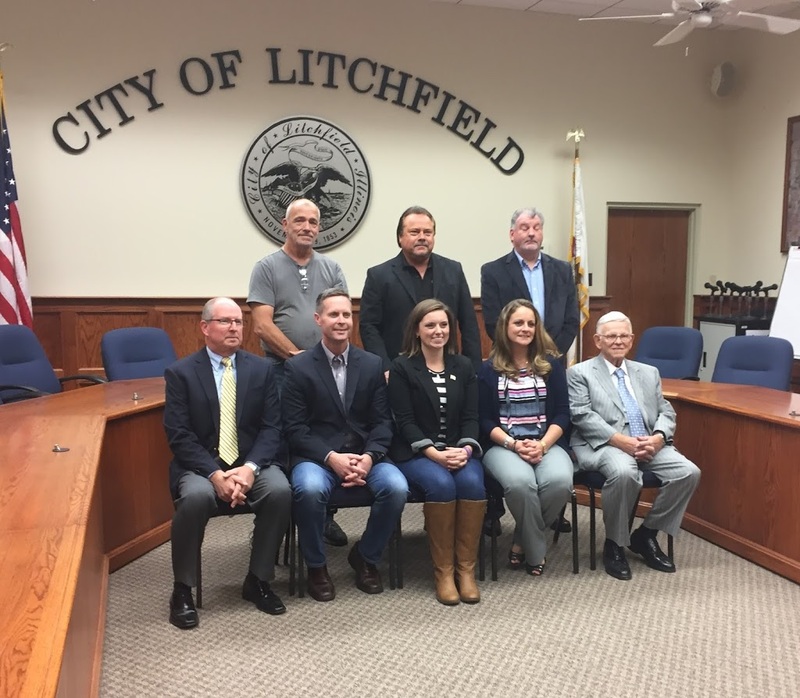 Litchfield Mayor Steven Dougherty, Chamber of Commerce President Jessica Vickery, Congressman Rodney Davis, and Representative Avery Bourne were in attendance. Last year, Congressman Rodney Davis worked to secure this funding through the FAST Act, which gives greater local control over federal transportation dollars. The FAST Act authorizes federal highway, highway safety, transit, and rail programs from federal fiscal years 2016 through 2020. Specifically, it provided the funds for this and other area grants released through IDOT’s Transportation Enhancement Program. A major benefit of this grant is the creation of the infrastructure to grow westward across Interstate 55. The new sidewalks to the west side of the Litchfield will allow a network to connect the furthest west point to the rest of the community. The project includes sidewalks, traffic control, lighting, signage, and pedestrian amenities.